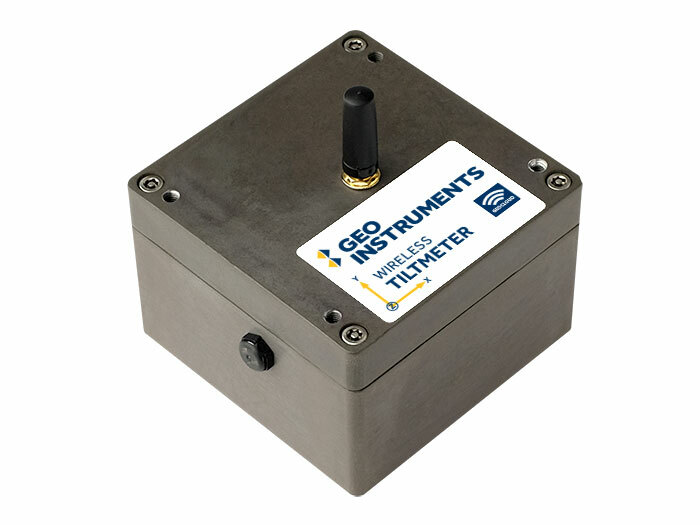 Tiltmeters are used to monitor small changes in inclination. They are ideal for monitoring structural rotation, differential settlement, deformation, and convergence. 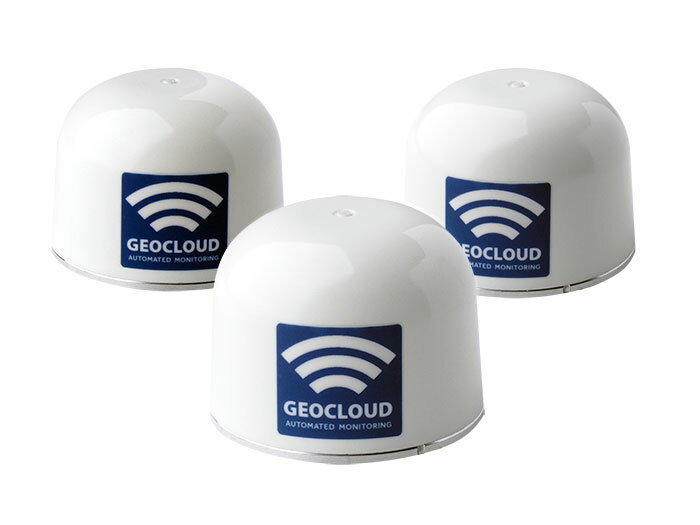 GeoCloud tiltmeters are a new generation of efficient, battery-powered, wireless digital sensors. There are two versions: The larger Wireless Tiltmeter offers longer battery life. The smaller Wireless Mini-Tiltmeter is compact and discrete. Monitoring the stability of structures adjacent to excavations. Monitoring landslides, rockfalls, and embankments. Monitoring movement of shoring walls. Monitoring the tilt of piers and piles. Monitoring differential settlement and heave. Monitoring effects of jet, compaction, and compensation grouting in real time. Cloud or Local Access: The cellular gateway transmits measurements to the internet for cloud access. The USB gateway provides on-site access for real-time control. Versatile Mounting Options: GeoCloud tiltmeters can be installed in any orientation. A wide variety of plates and brackets provide convenient mounting to walls, stakes and poles, and track ties. Self-Configuring Communications: GeoCloud tiltmeters automatically optimize communication paths to the gateway. Cable-Free: GeoCloud tiltmeters provide their own power and transmit measurements by radio, entirely eliminating the cost of cables, cable protection, and cable maintenance. Sensors: MEMS sensors in three tilt axes. Range: ±90° in each axis. Battery life: 12 to 15 years, with data transmissions at 25 minute intervals. Environmental: IP68 at 1m for 24 hours, -40°C to +85°C. Battery life: 4 to 5 years with data transmissions at 25 minute intervals. Environmental: IP68 at 2 m for 24 hours, -40°C to +85°C. Dimensions: 2.3 inch x 1.78 inch high. Frequency: 2400-2485 MHz ISM Band. FCC approved. Max Transmit power: 6.5 dBm. Max Antenna Gain: 2.2 dBi. Range: 980 feet point to point. Can be extended when nodes act as repeaters.